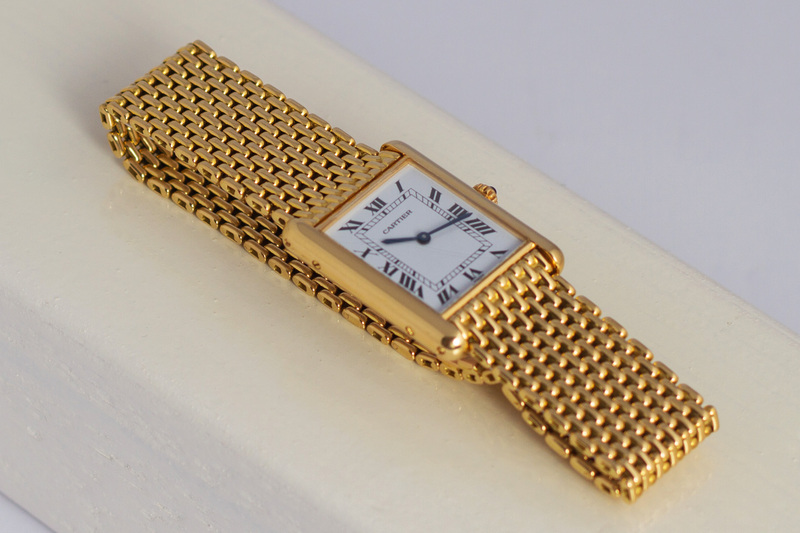 Our 18 carat yellow gold Tank Louis Cartier is in a wonderful condition and comes with the original box and Cartier paperwork. The white crispy clean Roman numeral dial is spotless while the beautiful blued hands offer a great contrast and are a matching pare with the blue sapphire cabouchon crown. 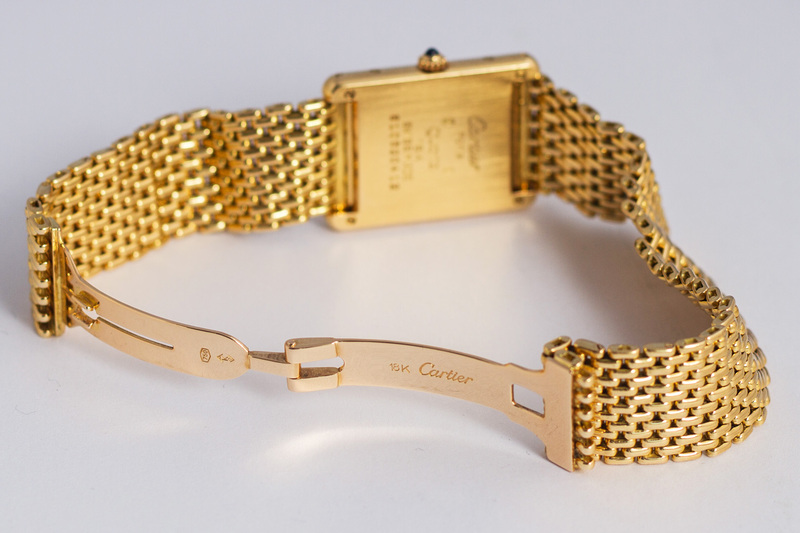 The real unique feature about this Tank Louis Cartier is the 18 carat yellow gold and Cartier signed mesh bracelet. 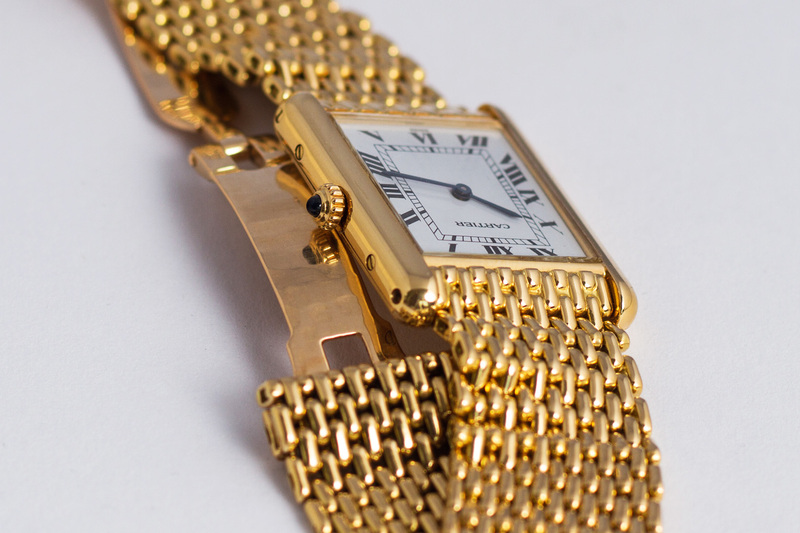 These rare bracelets are also known by their nicknames ‘grain of rice’ or ‘bead of rice’ bracelets – this because of the gold links and their shape that resemble pieces of rice (rice grains). 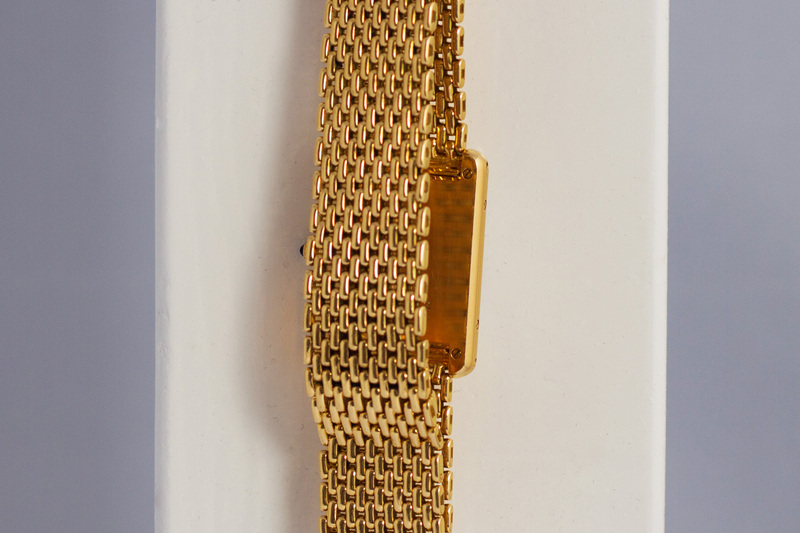 These type of bracelets are ultra comfortable on the wrist, not to mention it makes you’re Tank watch extremely unique! 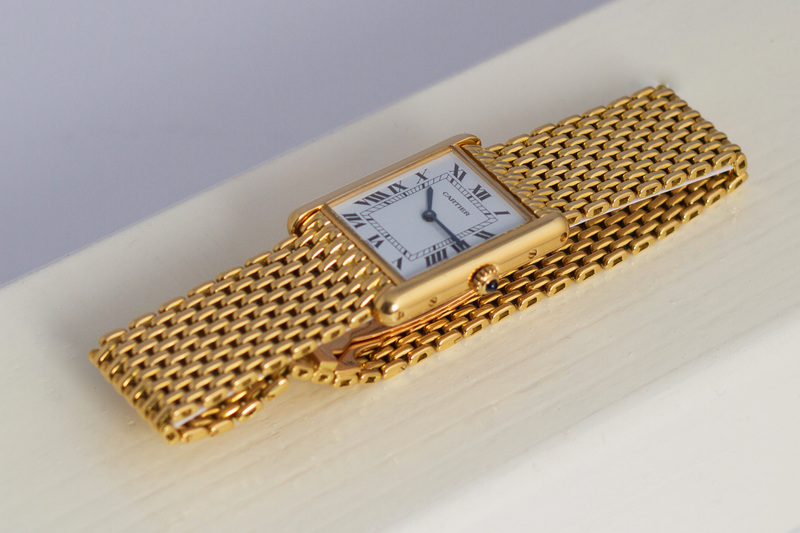 The flat gold bracelet seamingly merges into the case, it’s like a piece of art – beautiful! 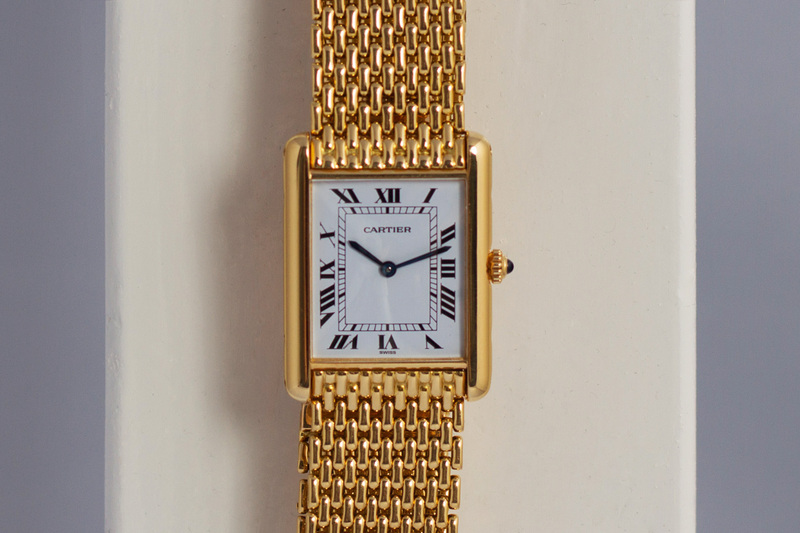 The entire Tank watch has been serviced by our watchmakers and will be sold with a 12 month warranty.